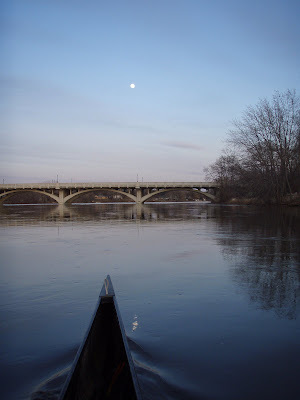 It felt good to be paddling in warmer temperatures and less wind. Maybe spring is going to stay. I went down to the Mississippi River tonight after work. The temperature was 50 degrees. The water level is down about 1 ½ feet from the high water of last week, but it was still moving very quickly. At least I didn’t have to dodge any trees or branches coming downstream. 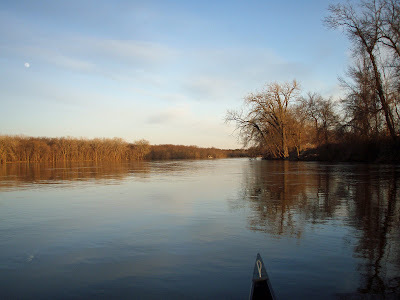 It was very quiet on the river tonight. I did speak briefly with a family who had just bought a home on the river. They were standing along shore where I turned around to head back downstream. 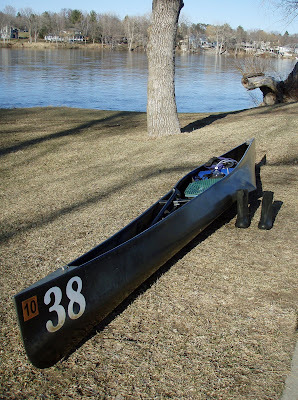 My total time paddling tonight was 2 hours and 5 minutes. I’m at 25 hours and 50 minutes for the early season. The temperature dropped to 45 degrees by the time I finished.